High quality self-adjusting straps increase comfort and help reduce fatigue. Tree Working safety Belt is used for people who work in garden art clip, tree clip, and firefighting on tree and so on. 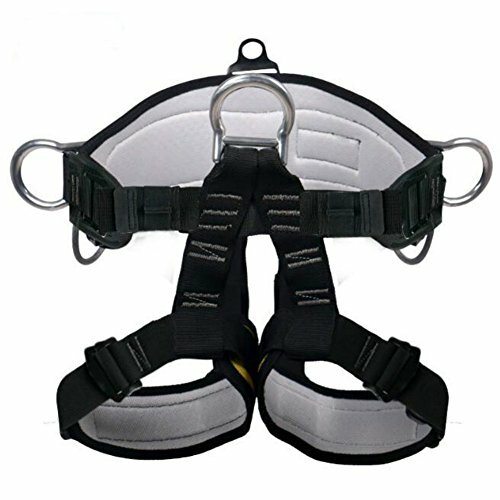 Made from polyester with a reinforced tie-in point and stitching, this harness will last even under high use conditions like a climbing gym or ropes course. Frame construction guarantees excellent weight distribution for optimal comfort: waistbelt and leg loops with doubled straps. waistbelt wider on the back and legs. If you have any questions about this product by Gregarder, contact us by completing and submitting the form below. If you are looking for a specif part number, please include it with your message.